Each pouch contains 5 identical lovely tattoos. Wear your favorites tattoos again and again ! Small lotus Temporary Tattoo. Tattoo delivered in 5 copies. Sioou temporary tattoo ultra-realistic in black ink. In a style that is both cosmic and geometric, it represents the different lunar stages. Tattoo delivered in 5 copies. Temporary Camelia Tattoo in a watercolour style. Delivered in 5 copies. Black ink temporary tattoo with New depicting New York City"s skyline Tattoo delivered in 5 copies. Adopt the symbol of luck with this small four-leaf clover tattoo in a watercolor style. Delivered in 5 copies. Sioou Temporary Tattoo ultra-realistic, thin and geometric: a dreamcatcher of cosmic inspiration. Tattoo delivered in 5 copies. 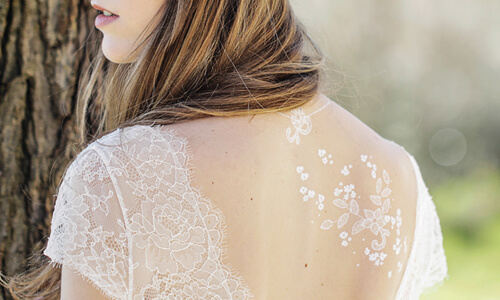 Floral temporary tattoo: a romantic and ultra-realistic rose with its foliage Delivered in 5 copies. Deer Temporary Tattoo in a "dot tattoo" style Tattoo delivered in 5 copies. Elegant Sioou's temporary tattoo with this floral bouquet Delivered in 5 copies. World map tattoo. Delivered in 5 units. A little black paper plane tattoo. Delivered in 5 units. Ultra-realistic temporary tattoo palm tree, the perfect pattern for the summer. Delivered in 5 units. 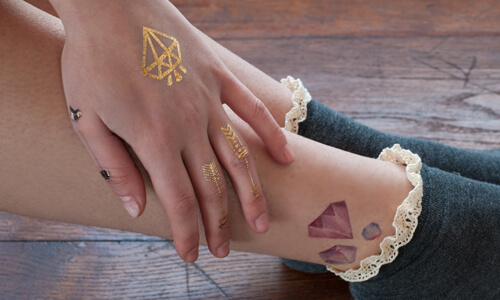 Golden starry spiral temporary tattoo to shine with a thousand lights! Delivered in 5 copies. Small pirate octopus tattoo by Aline Selli. Delivered in 5 units. Swallow temporary tattoo. Tattoo delivered in 5 copies. Fall in love with this little tattoo for children astronaut cat, designed by Aline Selli. Delivered in 5 units. 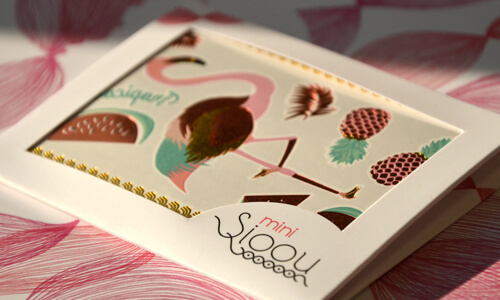 Hummingbird temporary tattoo designed by Claire Lebeau Delivered in 5 units. Golden ethnic arrows. Delivered in 5 units.